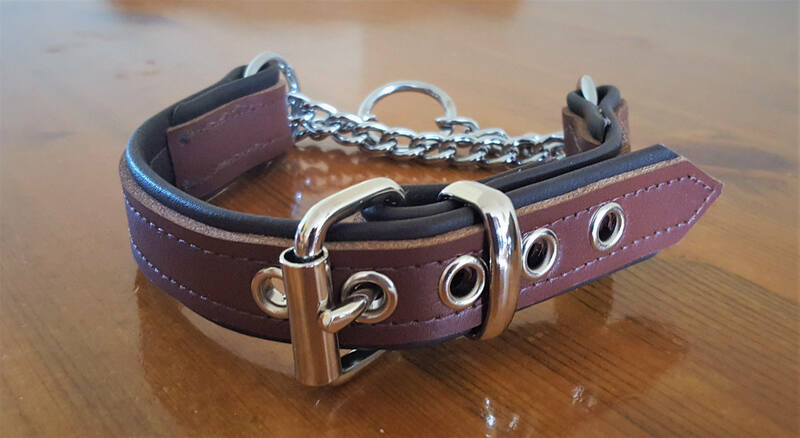 Here we have our hand crafted Tan on Brown leather Martingale dog collar with brown stitching. 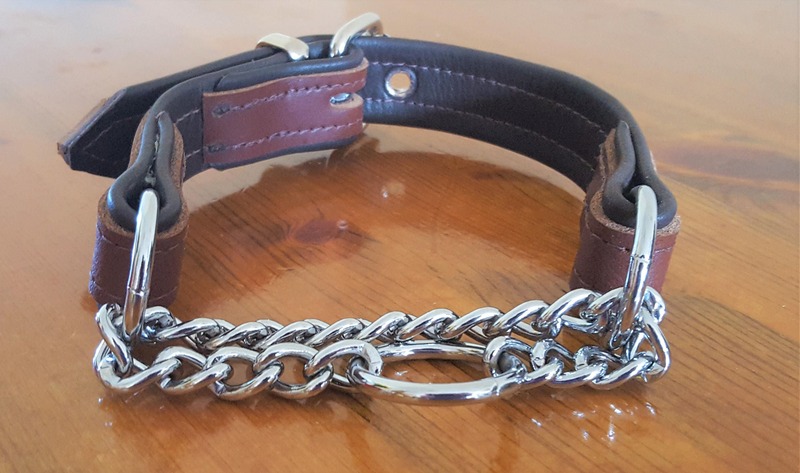 Beautifully made collar. Exactly what I was looking for. Very fast shipping to the US.